Oakland Mayor Libby Schaaf Friday again defended her recent warning to the community ahead of a large-scale operation by federal immigration authorities. 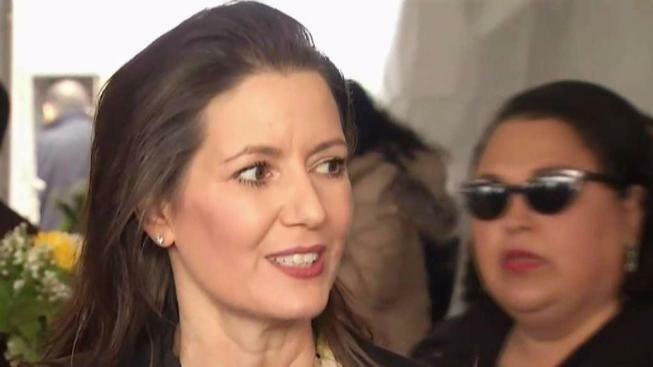 Speaking to reporters after a ground-breaking ceremony for an affordable housing project in Oakland's largely Hispanic Fruitvale district, Schaaf said, "I remain confident that my actions were both legal and moral." White House officials have suggested that Schaaf may have engaged in obstruction of justice by warning the community before recent U.S. Immigration and Customs Enforcement (ICE) raids in Northern California that resulted in the arrest of about 230 people. "I find it difficult to believe even in today's America that informing people of their legal rights could be considered illegal," Schaaf said. Schaaf has met with legal advisers and said she believes she acted "within the confines of the law." "I did what I believe was right for my community as well as to protect public safety," Schaaf said. "People should be able to live without fear or panic and know their rights and responsibilities as well as their recourses." Schaaf said she and her office have received some angry comments since she issued her warning but she hasn't received any death threats and isn't concerned about her safety. She called it lie for the Trump Administration to claim that immigrants are dangerous criminals. "ICE's own data demonstrated that the majority of the people they've arrested had no criminal background," she said.